This family LOVES mushrooms. We also love spice. So why not a spicy stuffed mushroom? 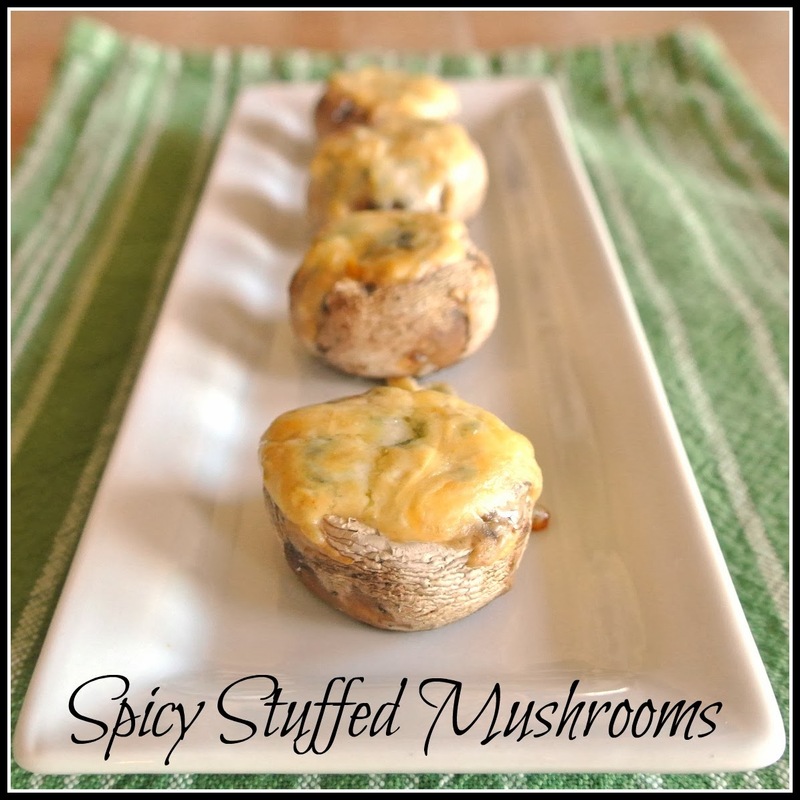 I make the traditional stuffed mushrooms all the time, so it was time for a change. 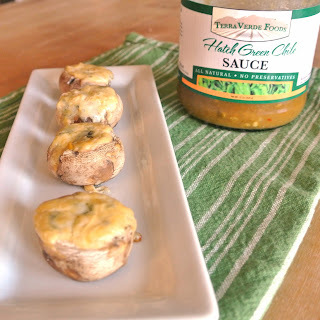 So today I am using Terra Verde Farms Hatch Green Chili Sauce. It is made from Flame Roasted NM green chiles, green tomatoes, onions and Terra Verde Farms special blend of spices. It is a great addition to any recipe if you want to add a kick. These mushrooms were devoured. Meant to be an appetizer, they quickly became the main event. Enjoy! Remove stems from mushrooms and reserve. Chop mushroom stems in food processor; add remaining ingredients to food processor bowl and process until smooth. Place mushroom caps on a baking sheet. Pipe mixture into mushroom caps. Bake in preheated 350° oven for 20 minutes.